If you’re looking for top quality modular school lockers for your school, you have come to the right place. Our modular school lockers are ideal for sports bags, PE kits and personal belongings. The difference between a modular locker and a traditional locker is that these ones can be nested together which are suitable for primary and secondary students. Coated with an anti-bacterial finish to reduce the spread of infectious diseases. Available in various door colour options. 3 sizes available + the large Quarto locker. Cam locks and 2 keys come as standard (other lock options available). Our modular school lockers are a fantastic option if you are looking for something different than a traditional locker. They can be nested and stacked in different combinations. Also, you have the choice of door colour options. You can use it to make an interesting feature towards the students and staff. Our modular lockers are also ideal for tight spaces, more flexibility with your stacking options means you can utilise your area effectively. 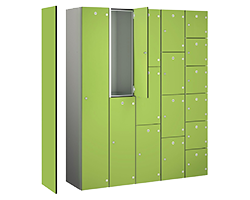 With all of our lockers, they are anti-bacterial powder coated which makes them staff and student resistant to infectious diseases such as MRSA and E.Coli amongst others. It can help lower the spread of people getting ill as well as the number of sick days. 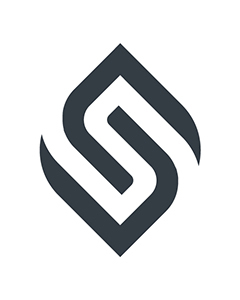 We always research our price online to make sure that we have the most competitive prices on the internet. If you manage to find a supplier they sell high quality modular school lockers cheaper than us, we will make sure to beat it. Here at CS Storage, we strive to make our customers and clients pleased by providing them with excellent storage solutions and lockers. So if you’re looking for an online supplier that sell top of the range modular school lockers, think CS Storage. Contact our team on 01772 322634, one of our friendly team members will be more than happy to assist you with your requirements.